The next few days were devoted to helping family and friends with projects. Sarah’s mother-in-law had just recently received word that she had, after being on a waiting list for three years, been granted an apartment in the seniors’ complex, so I pitched in to help her start downsizing, while Jim built her a planter/privacy wall for her patio. We found some time to enjoy lunch at The Blue Bell with the family on Sunday, and Jim and I strolled along the main street, checking out the shops and taking pictures. 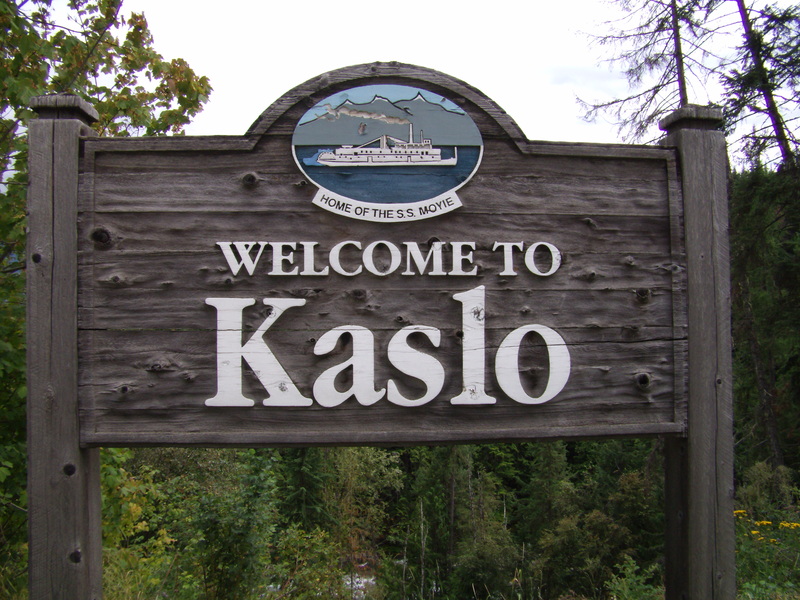 Kaslo is a great little town nestled below the mountain peaks and overlooking Kootenay Lake. Life there always seems simple and relaxed. There are farms in the area, many of which provide organic produce. Eating local and organic is a much easier choice than it is in Ontario, but anything that has to be imported, even from other parts of BC, is more expensive since transporting it is challenging. Although most people walk around Kaslo, a vehicle is a necessity to get anywhere outside the town. There are no trains, planes or buses. The closest bus terminal is an hour away, in Nelson; the closest airport is in Castlegar, an hour in the opposite direction and an expensive trip. That’s why we flew into Kelowna and rented a car. But it’s worth the effort. The small town atmosphere is so inviting that you feel like you are part of a big family within minutes of arriving. 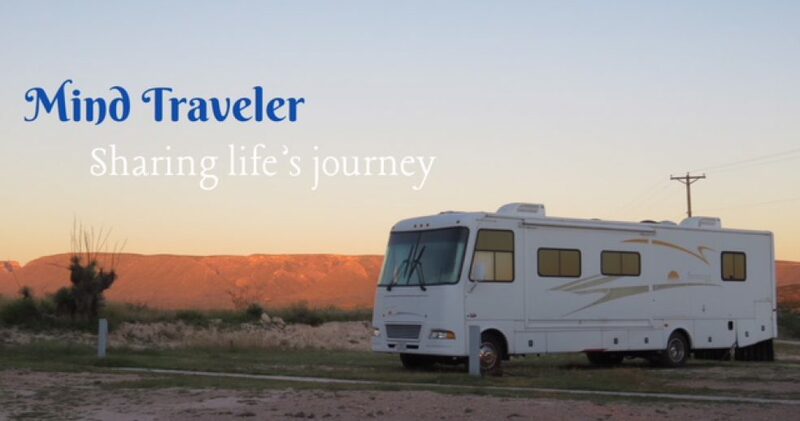 There is a big, new hotel, and a motel, and several B & Bs so finding accommodations is relatively easy. However, Kaslo holds many weekend events that bring people in, so you should definitely check ahead if you plan to visit. A miner, J. Will Cockle, discovered the 125 pound Galena boulder, which became famous, in 1892 when he accidentally sheared a piece of rock while cutting a tent pole. Cockle was also a steam tug owner, a boat builder, an orchardist and an entomologist. 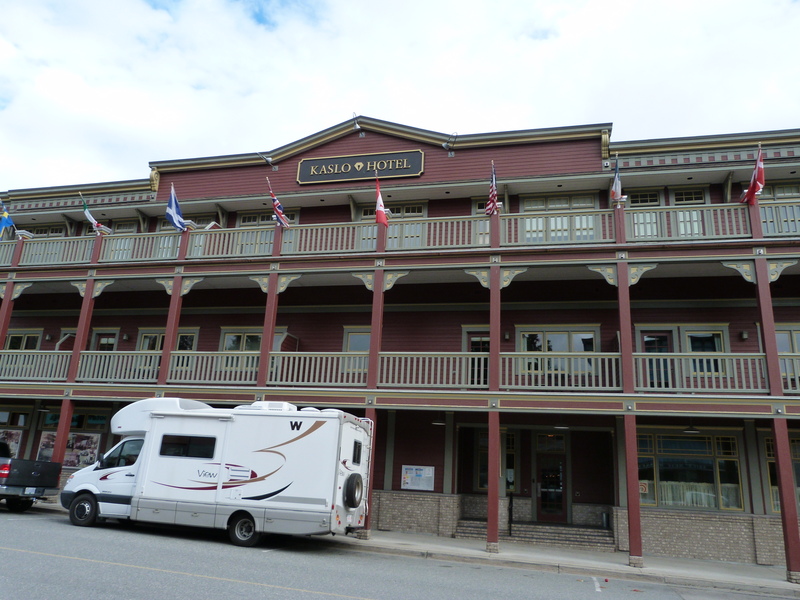 The Kaslo Hotel opened in 1896 and was expanded twice to accommodate the booming mining community. The stories of the original owners, J. Will Cockle and W.V. Papworth, reveal a large part of local history. Papworth owned the silver-rich Texas Mine, and later served for over twenty years as Town Clerk and Kaslo’s Mayor. Cockle and Papworth sold the Kaslo Hotel in 1913. Daddy “Big Kid” Desmond managed the hotel, bar and billiards through much of the depression. After twenty years of depression the hotel and the town became run down. In May of 1942, when Japanese Canadians were being moved from the West Coast and interned in Kootenay ghost towns after Pearl Harbor, internees began to arrive in Kaslo to face an uncertain future. Some 1200 Japanese Canadians made up two-thirds of the town’s population. Many were housed in The Kaslo Hotel. Most of the hotel residents were women and children and the conditions were cramped. The bus station (there was one then) was always busy as internees were constantly moved from camp to camp or to Eastern Canada. In 1945 the Kaslo Internment Camp was closed and Front Street became once again much less lively. The original hotel was replaced in 1958 with a masonry building. Directly behind the Kaslo Hotel is the rail-to-water link, where rail barges were loaded from steamship to railroad up until 1957. Kaslo experienced another boom in the 1960s with the building of Duncan Dam just up from the lake. The hotel was owned and operated by the Campbell family by then. Between 1957 and 2006, the hotel was known as The Mariner Inn. In 2007 the Eckland family bought The Kaslo Hotel and began a complete rebuild to an exacting heritage design by Robert Inwood. It is operated by Geoff Beer and Tom Eckland. 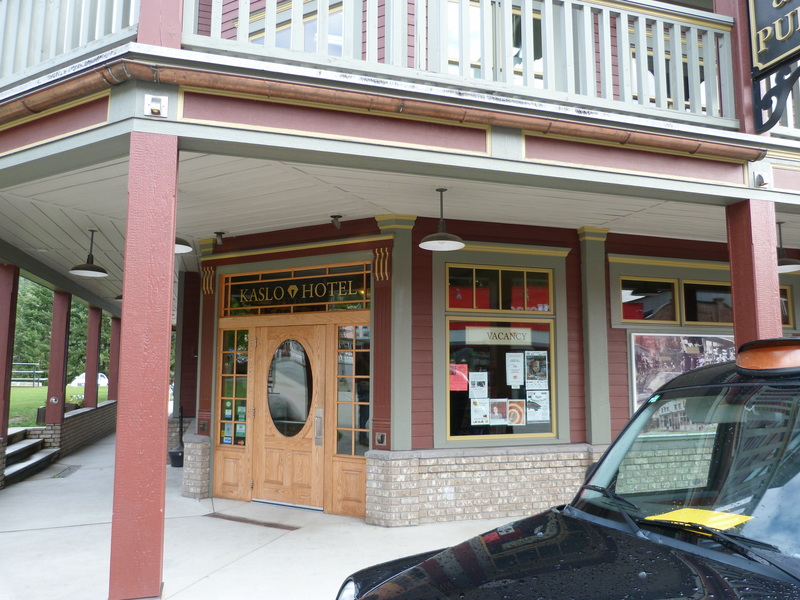 The Kaslo Hotel wasn’t the only hotel in town during the heyday of mining. The Langham Hotel had been built in 1896. It was so busy during this economic high that beds were rented in three shifts a day. During the Depression, it too fell into disrepair. During the Second World War the Langham was used as an internment centre for approximately 80 Canadians of Japanese descent. In 1974 a small group of Kaslo residents decided to take this derelict heritage building, about to be demolished, restore it and turn it into a cultural centre. 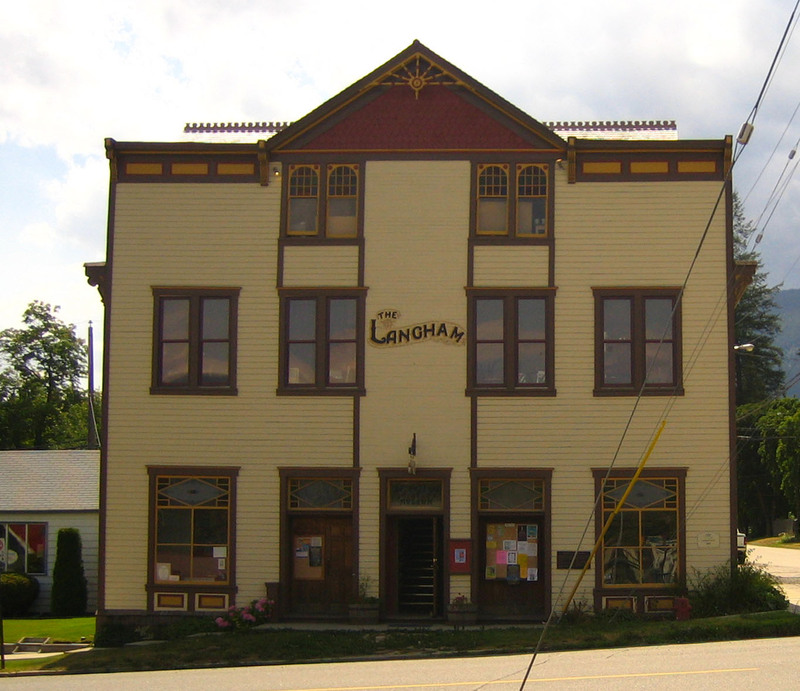 In June of 1975 the Langham Cultural Society was registered as a society. Today this award-winning building offers a theatre, an art gallery and The Japanese Canadian Museum. To learn more about this interesting history, visit the website. The S.S. Moyie moored at Heritage Park is another bit of history that you’ll want to visit. Kaslo is definitely a three-season tourist destination. During the winter months the snow is heavy and the roads are often blocked by avalanches. 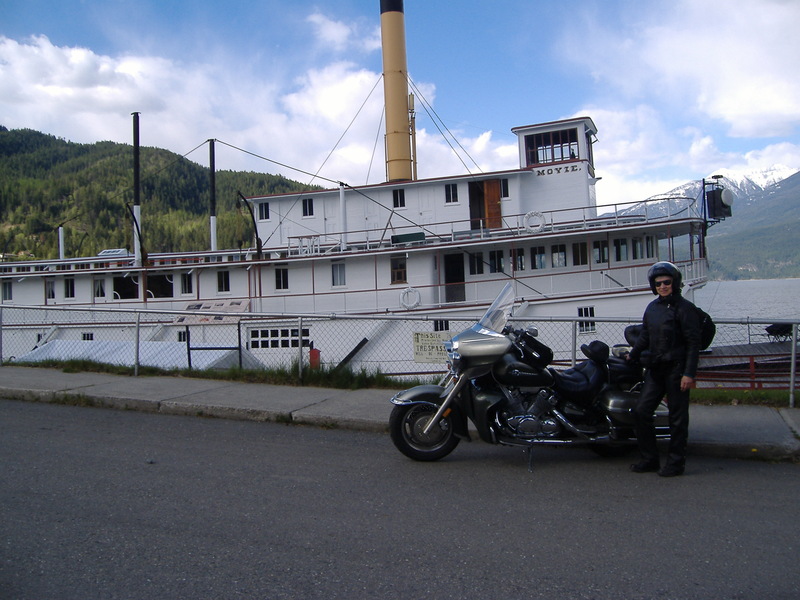 This entry was posted in Motorcycling, Museums, Photography, Travel and tagged BC, Kaslo, Kaslo History, Kaslo Hotel, motorcycles, Photography, S.S. Moyie, The Langham, travel. Bookmark the permalink.